When I read back on my original post about Alchemy and what this year in focus was going to look like, once again I’m amazed at the purity of the theme as it has played out and also simultaneously, how I could never have predicted how this would turn out. Here I am typing, pausing to catch my breath. In the beginning I situated my experience of Alchemy as the proto-science, about transmutation, transformation of one thing into another and of dedication of self to a great work, in my case to *be* the great work. That’s still absolutely true, but how it looks is vastly different to how I imagined. So if I imagined one thing, way back in February, what does Alchemy look like now? It looks like profound uncertainty. And grief. Change. The self I started the year as is not the self I am halfway through. I have started my career as a midwife, I’m halfway through my graduate program, halfway through that crucial first year where I come to understand how does my own personal practice look, what do I do and value and how do I make it come together in the increasingly time pressured experience of hospital midwifery. This year I’ve also experienced a major breakup in my live in poly relationship which was both unexpected and deeply painful. I’m growing and changing and processing, grieving all at once. And there is also joy, profound joy too. I love my graduate program, the hospital I’m working for has been sincerely supportive and I am finding my way as a midwife. What is most true for me right now is that: I want to give the best care I can and be the best colleague I can. Nothing is perfect, things remain undone, and not everything is done to the standard I would want were time not a pressure. And yet if the thing I fret most over is giving the best care I can and being the best colleague I can be, then I am reassured that I’m working in the right direction. I care and each day it matters to me, each family matters to me. My colleagues matter to me. I can also see fledgling pathways forwards in how I may want to extend my practice, learn more, grow more, develop programs that could make a difference. These are ideas at present, but they have gravitas. I’m not ignoring them and I’m considering them from a ‘what if?’ perspective in that I assume that what I am thinking of is actually possible to create and implement. Obviously that’s long term, but the seeds are there. That’s reassuring in and of itself because this job I studied so hard to qualify for matters to me more than ever. I’m so passionate about it and I didn’t understand before now what it was like to be motivated so strongly by some kind of calling. 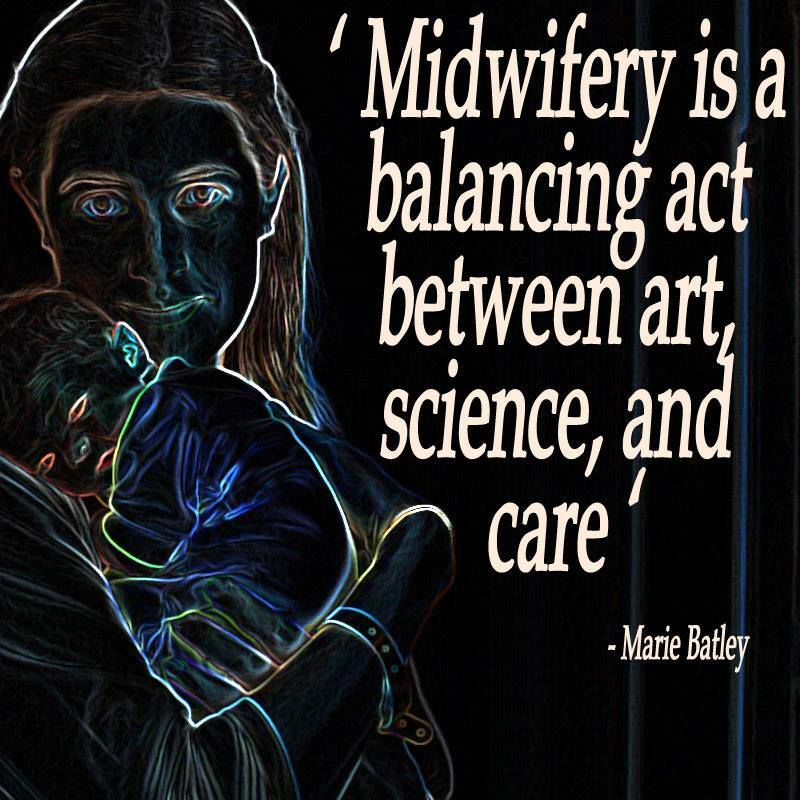 Midwifery is my calling and is the most practical means in which I can express, generate, and act with love. While my path in midwifery is clearer than ever, my personal path is not. I am uncertain and I am dealing with grief in the loss of one of my most important relationships. Additionally I am sitting with and processing all the fears I have as a result of what I’ve been through, they’re powerful and will take time to dissipate. I have to incorporate the additional cynicism that I’m experiencing into who I am and how I go forward, I can’t just pretend it’s not there. Alchemy is about experimentation and being open to the unexpected. It is also about sitting with uncertainty and taking on that not all will be revealed, explained or understood at the end. That part is hardest for me right now. However, I have determination and bravery. I have the love of my circle around me. And I’ll continue to sit with the lessons that Alchemy brings as part of my year long enquiry. I have a feeling that I’ll barely recognise myself by the time I get to the end of the year. Certainly, there’s so much already that feels changed inside. But it’s still too raw to really write about at present. For now, in this update I can say that I chose the right pathway in Midwifery and that I want to follow that wherever it takes me. Personally everything is particularly uncertain as I undertake the most acute healing following my breakup. Also my remaining live in partner, together we’re now working out what we have together. We were never a two and never conceived of being a tow, and now that we are, we’re approaching it intentionally. We’ll create something lasting and special – we already have the love, commitment and trust. Now to explore the shape and possibilities together. That’s still a little bittersweet, but the joy and whimsy in the possibilities is absolutely present. My original post wasn’t all that specific about this theme, and I feel this one follows that same pattern. Things are no clearer in specifics, and yet there’s been so much growth and change. I will never be the person I was from the beginning of the year, but I’m already appreciating and a little in awe of the person I’m becoming. As always, I’ll do the best I can, give the best of myself I can. I feel like in some ways this post has taken forever to come together. And it’s one of those years where finding my theme took longer and while the concepts were clear to me, the overarching word to tie them together was elusive. But I made it, with some wiggling and as always with abiding love and thanks to @dilettantiquity and @ravenari for talking things through for me in useful ways to get to this point. So for the entirety of 2017, I swear I could almost feel the precipice beneath my feet, the open space ahead of me and I was poised on that edge the entire time. I thought when I got to 2018 I’d have some kind of word like ‘flight’ or ‘leap’ or something but it’s not that simple. And I’ve found that when I realise that what I thought isn’t going to work, I just have to sit with it and let that go, and then be open to what this year is actually going to be about. And what I came to understand is that 2018 is about Alchemy. Having an image that represents the theme is a new part of my process and just because none of the images I found of alchemy in the proto-science historical sence fit or worked for what it means for me, doesn’t mean I wanted to forgo a focus image. 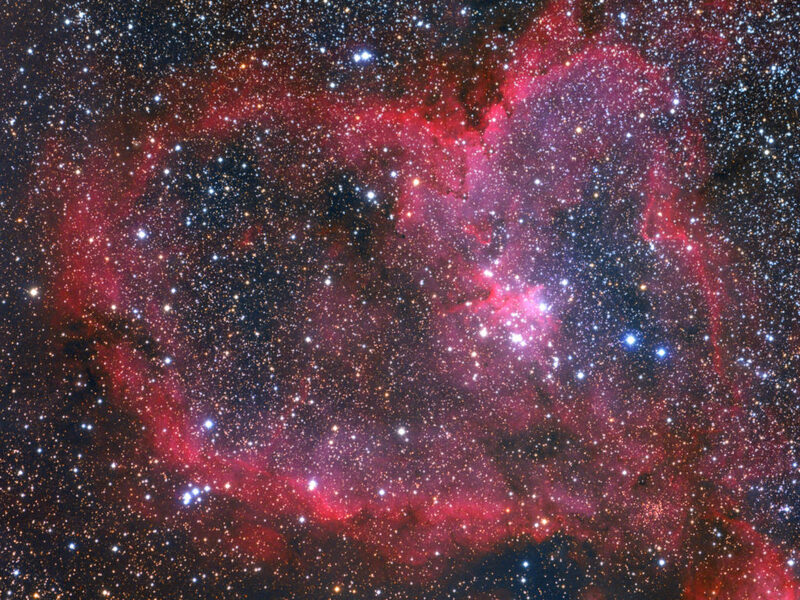 So what this heart nebula image tells me is that my capacity to love is like the universe – infinite. Also about transformation and potential. 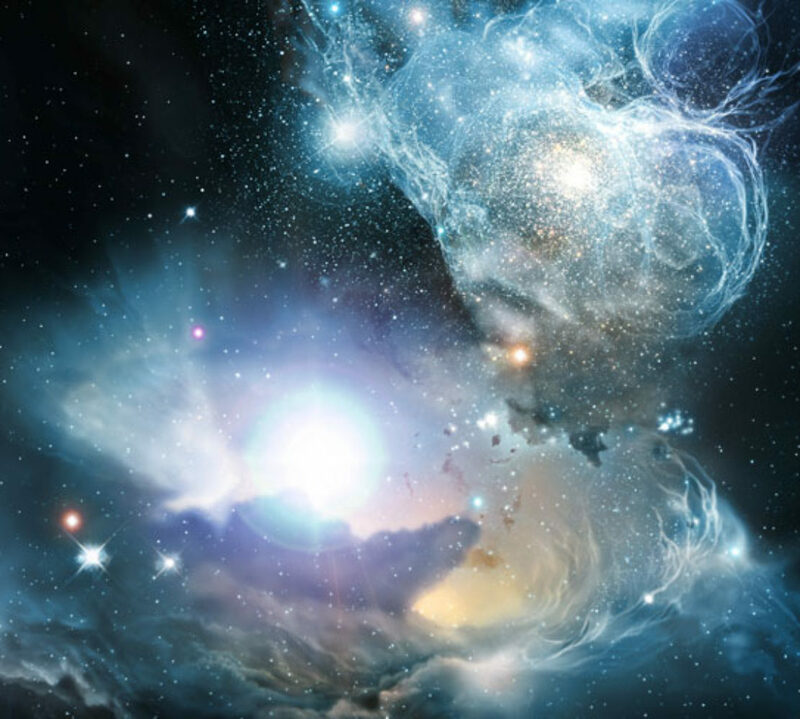 Only parts of the universe are ever visible at any one time to me. I can’t take in or do everything all at once and so this is both the potential and possibility and reality of how powerful love is as a force for me, but also to remind myself of my realities and constraints. I am not the universe, just a human being, a speck of dust in the universe really. But even a speck of dust can aspire to make themselves a work of art. This year, I don’t think I want to talk about discrete areas of intention or goals so much. I’ve already talked about reading goals elsewhere in any case. My plan is to talk about the two main focuses that are intertwined and let this enquiry be more abstract and less specific about things I want to do or achieve. I’ve talked about before how some themes are more internal than external and I think this is one of them. The process is within me and I have to work with myself and sit with the emotions and the growth in order to get the best of it. Alchemy is about transmutation, refinement of one thing into another purer thing. Which in this sense for me is transition from student midwife to professional in my own right, capable and confident in my basic practice. It’s about the repetition and revision and intention towards myself and being my best midwife self. Alchemy also seems to be about dedication of self to a great work… and the idea of myself as the great work is not new to me and in some ways feels like a returning to some of my core self values. I want to build on the momentum I’ve created as a student going into practice, take advantage of all I can, learn as much as possible, listen and grow and put myself out there. But. And it’s a big one. I’m not doing this from a perfect clean slate. I’m doing this off the back of constantly fighting off burnout for the past three-four years while I was studying and there were additional pressures and stressors. So, I can’t just fling myself off the precipice and trust myself to fly, to catch myself without pause. There’s a lot of pause. The potential for burnout as a new healthcare professional is massive, particularly coming to this space with that already having been a threat that I was managing. So I must take care that things don’t blow up in my face. I must not be my own worst enemy and slave driver. I must not seek to achieve and experience at the cost of myself and wellbeing. Self care as an active and mindful process must remain central to how I engage with the year ahead and the alchemy I seek to immerse myself into as a new midwife. For me self care continues to look like reading for pleasure, surrounding myself with amazing people and enjoying their company, conversation and connection. With improved finances I hope that I’ll be able to do more getaway type things that take me out of my routine and allow me to prioritise stopping, not doing, and letting go. Hopefully they’ll assist me with actively being able to relax and not have it be such a conscious skill I’m building basic muscle memory for (it’s a work in progress, and the fact that it requires so much determination from me is pretty telling). So Alchemy, intention and refinement of purpose that is passionate and enduring – midwifery. But care and mindfulness, taking the precautions and seeking not to blow up my lab (read: myself) in the process. Transformation in a really deliberate way, less like waving a magic wand and more like turning over puzzle pieces to find how they fit – how I want them to fit. This is the beginning, and finally I think I’m ready for it.